The next Uber isn't cars for rides, but trucks for stuff. Don't miss out on this opportunity! For $500 you can run the next Uber for your city. No, there is no catch. Our goal is to replace Uhaul in every town in America. 10 cities left before we launch. Send us a city, your contact information and your essay. Provide the physical location of your proposed affiliate. U.S. & U.K. applicants submit proof of cargo and liability insurance. Submit payment for your first year as a Burro affiliate. E-sign the annual license agreement. Congratulations! You are an official affiliate. The first step in the affiliation process is to fill out an application and write an essay. The essay should contain info about your background, what Burro affiliation means to you, why you want it, and what you want to achieve. It doesn't have to be long or formal, but it should be from the heart (Hint: attention to detail matters in this industry). The other informal step is to educate yourself and become a part of the delivery community. This can happen in many ways. Post a labor gig on a local forum (e.g. Craigslist) and try a few deliveries for yourself, maybe join another on-demand transportation platform to get the feel for it, read up on the industry in tech blogs or blogs from other on-demand platforms and make friends with and visit other affiliates. Maybe even come to Austin, Burro's HQ, and work for a week. Control Your Future. Leaders Wanted. We require an applicant to pass an online video training before an affiliation offer is made. We offer training several times a year. Please contact us for more information. Burro has its own level of training regardless of moving or delivery experience. You will need to have a live website, once you are affiliated, before we will be able to link you on the Burro site. This is our primary means of promoting you; therefore, we expect you maintain a good site. 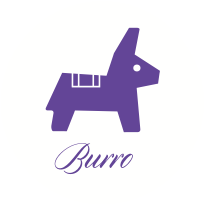 Burro is a licensed trademark and its use without our prior permission is illegal so please do not register a domain with the Burro name in it until after your affiliate application has been approved. Pleasemore detailed information. U.S. affiliates will be required to submit proof of insurance. Insurance can be purchased from a variety of brokers. Burro HQ, however, is working on a solution that we think offers the best insurance for Burro affiliates. Please contact us for more information, however, be aware we are several months away from having anything official in place offered through Burro. Please see the INSURANCE tab above for more detailed information. Some U.S. states do not require insurance for vehicles under 5000 lbs. However, Burro requires that each affiliate has liability and cargo insurance at the Texas standard amounts. Starting January 1, 2019, affiliation costs US $500 annually regardless of city size. Affiliates in Australia, Canada and United Kingdom will pay in their local currency plus applicable taxes, see below for price table. Regardless if you are registered with your state DMV or DOT, you must carry cargo insurance coverage of your states minimum requirement or at least $10,000 per occurrence. Please list the following as named insureds on your policy: your corporate entity, your name and your Burro DBA (if applicable). - The verbiage "Certificate holder added as additional insured"
Public Liability in the amount of £5,000,000.00 per occurrence and £5,000,000.00 in the aggregate. Professional Indemnity in the amount of £1,000,000.00 per occurrence and £1,000,000.00 in the aggregate. You must carry cargo insurance coverage of £100,000.00 per occurrence and £100,000.00 in the aggregate. Must include your physical business address. ‍While we do not require our other international affiliates to submit proof of insurance, we do strongly recommend they carry it. Below are the website requirements for licensed affiliates. Please do not publish an affiliate website until after your affiliation paperwork has been finalized! You must have the Burro logo/link on your Burro homepage. The link needs to go to the getburro.com/index.html page. If you are a courier that is not solely Burro (i.e. you offer interstate moves or handyman services, etc. ), you must create a separate Burro page on your website. Please be sure you put the Burro link on your Burro page. This is the page that we will be linking to. All links to Burro materials, content, photos or videos must be links to the Burro site. You cannot use locally hosted versions of Burro material (e.g., Photos, videos, social media content, PDF files, etc). All photos from getburro.com and the Burro social media, and all Burro logos and graphics are copyrighted by Burro Technology Inc. and none may be used without permission and attribution. No outright reproduction of the Burro main site content is authorized. Please link instead. Ensure all content on any of your printed material, social media or on your site is original or properly attributed. In other words, if you copy (or paraphrase) any content from the main site or another affiliate, you must give credit. "Courtesy of Burro Technology Inc." is ideal. Include actual location (city, state) and contact info somewhere prominent on the site. The affiliate name provided on your materials, content or site (e.g., ABC Burro or Burro XYZ) should be exactly the same as the name used in the license agreement. Once your application is approved and we receive your paperwork, we'll link to your website from the main page of getburro.com. You will also have access to a private Burro Affiliate Forum on the Burro Message Boards, where you'll be able to interact with other affiliates and tap their knowledge and experience to help you thrive. Also, your affiliate will be considered for features on the Burro main page if you send us high-quality, interesting photos and videos of your training and events. I am not sure I want to be an affiliate can I just drive? Sure, but you will need to contact a Burro affiliate. One of the things we look for in affiliates is "Are they leaders?" If you are a leader that is great at building teams and helping create opportunities for them grow then you will probably be a successful affiliate. If you aren't sure then now might not be right for you. Take a couple of more years to figure out what your looking for in life. Maybe justing being an employee is your thing. That is ok also. If I drive for another on-demand transportation company can I be a Burro affiliate? We don't have any issues with it if you are an independent contractor. We suggest having an attorney read your current driver agreement, employment agreement or terms of service and have them help you navigate the laws in your state. I work for another company, but have relationships with stores. Can those stores switch to my affiliate? We don't have any issues with it, but also don't want you to interfere with a contract. We have had store employees switch to us on their own. We suggest having an attorney give your current driver agreement or terms of service a look over and have them help you navigate the laws in your state. Can I work for another transport company and run an affiliate? We think it is wiser just run your own affiliate business as you make almost 100% of every delivery your affiliate makes versus working for 60% commission or an hourly rate. However, if you want to do both we suggest having an attorney give your current driver agreement or terms of service a look over to be sure you are ok to do so. What is included in being a Burro Affiliate? - Legal use of the Burro name, logo and promotional materials.Promotion from BurroDelivery.com. - Access to the Affiliate Forums. - Support from Burro Technology Inc. on specific and general issues. Burro works hard to protect its brand and those licensed to use the Burro name. Yes and no. Yes you can set them locally, but the rates through the Burro app are set. You don't have to accept deliveries from our app. I'm planning multiple locations. Is that allowed? Burro does not allow multiple affiliations. We feel it is better for an affiliate to concentrate on a single location to ensure there is hands-on involvement by the owner. How many drivers can I have under my affiliation? What do I pay them? You can have as many drivers as you want and how you pay them is up to you. The industry standard is 60%-70% of the delivery fee. You might elect to pay your drivers hourly. The choice is yours to make. As an affiliate what percentage of the delivery do I make? Any transactions through the Burro app, Burro will take a 3% commission. Any transaction outside of the Burro app we don't take a dime. You are doing the work and building the relationships with the stores so we feel you should take back what is yours. It is always better being an owner than just the labor right? Work at building something for your family; not for the delivery or courier companies shareholders. I work as a sales person for a delivery/courier company can I take my clients with me? We suggest you don't steal clients or interfere with any contracts. However, we have seen clients follow sales people when the sales person transitions to a new company or when they start their own business. We suggest having an attorney give your current employment agreement or terms of service a read. Let your attorney help you navigate the laws in your state. What is the cost to become an affiliate? The affiliate fee is based on the population size of each town or city where you want to have your affiliate business. For instance, lets assume your city has a population of 75k people, you would pay a yearly $500 affiliation fee. If your city has a population of 2M then you pay a $3,000 yearly affiliation fee. Besides the affiliation fee. What other fees do I pay? After you pay your affiliation fee, all you pay is a fee for each driver phone you register. For example, in the United States, you would pay $100 a month for each driver phone you register with Burro. Any deliveries that you accept through the driver phone we take a 3% commission. You run two phones (i.e. one phone for you the affiliate and one for another driver) for the month. Through both phones combined say you earn $9,000. You earn another $3,000 outside of the app. I also consent to receive calls or SMS messages, including by automated dialer, from Burro and its affiliates to the number entered above for informational and/or marketing purposes. Consent to receive marketing messages is not a condition to use Burro's services or trademark. On-demand technology and community can take your courier or delivery business to another level. Give us the once over. Gain some know-how. Try some of your own deliveries and maybe that will ignite a spark to join us. © 2018 Burro Technology Inc.